The Eco Team would like to invite parents and carers to take part in this campaign. 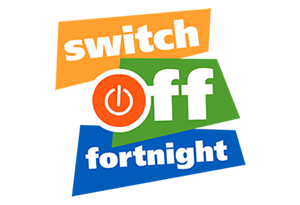 Switch-Off Fortnight encourages everyone to reduce the amount of energy they use in school and at home. In school, we are trying to turn off the lights and electrical appliances to help reduce the amount of energy we use. Wasting electricity contributes to global warming as greenhouse gases are produced. This can lead to the destruction of animals’ habitats, like the Polar Regions. It could also save our school a lot of money. As part of the campaign, we are also asking you to join in with ‘Use Less Stuff Day’ on Thursday 17th November. This is where we ask everyone to use their appliances less to save energy. Can you rise to the challenge for the day? Remember to turn off the lights!